Eric does a good job on here. Conrad is the best. Great show. 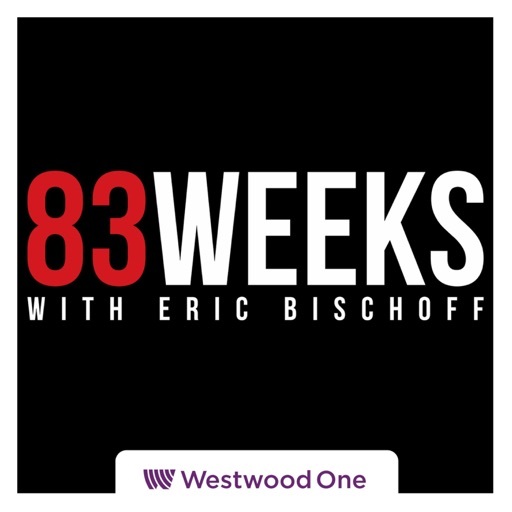 Conrad and Eric are a great tandem, fun podcast, Informative and a good listen. Until this watch-a-long with Conrad, Eric Bischoff had never watched the final episode of WCW Monday Nitro. Join Conrad and Eric to go through this huge night in wrestling history, including talk about the sale to WWE, Scott Steiner, Booker T, Sting, Ric Flair, Brad Siegel, and so much more! Want FRONT ROW seats to ALL IN? Pre-Order Starrcast on FITE for your chance to win the tickets, round trip airfare to Chicago, three nights in a hotel suite, Platinum Bracelets to Starrcast, and tickets to every Official Meet & Greet! PLUS you get 20+ live shows, over 40 hours of content both live and on demand at FITE.tv/starrcast -- hurry contest ends 8/27!Support us on Patreon for even more content from Eric & Conrad for just $9! Patreon.com/83Weeks Pre-Order STARRCAST before 8/10 to see Bruce & Eric in a Monday Night War Debate and to see Eric take on the author of the Death of WCW Book, plus 20 other live events for just $99 and you get a $20 FITE credit! fite.tv/starrcast Buy a shirt and get a call from Eric: www.EricBischoff.com Find tons of new merch at BoxOfGimmicks.com Catch us in Baltimore on 11/3 - EricAndConrad.com Join us on Nashville on 11/4 - 83WeeksLive.com Interact with Eric live - twitch.tv/83weeks Vote for what to hear next on Twitter: @83weeks Get a FREE two month trial, including Summerslam, at WWENetwork.com/83weeks Get a box of Omax3 Ultra-Pure, FOR FREE with your first purchase at tryomax.com/83weeks The book Eric put over so hard on this episode is WCWNitroBook.com Stop throwing your money on rent! Get into a house with NO MONEY DOWN and roughly the same monthly payment at HideFromRent.com Oh and don't drink and drive! © 2019 OwlTail All rights reserved. OwlTail only owns the podcast episode rankings. Copyright of underlying podcast content is owned by the publisher, not OwlTail. Audio is streamed directly from Westwood One servers. Downloads goes directly to publisher. Rank #1: Stone Cold Steve Austin and Bret Hart Breakdown Their WrestleMania 13 Submission Match in Our Latest "Anatomy of a Match". What's up, Hosers?! Welcome to a very special, once in a lifetime edition of E&C's Pod of Awesomeness. First things first, it's our one-year anniversary! And what a year it's been--Rocket Strapping, Paul Smackage, incredible guests, and TOMMAY! Thanks for all the support, and here's to year two. But before starting a new year of the show, we had to celebrate year one with our second ever "Anatomy of a Match." Stone Cold. Bret Hart. WrestleMania 13. These legends joined the pod together to take us through the entire experience--the in-ring psychology, the double heel-face turn, making the decision to get color, the importance of Ken Shamrock, and the bloody sharpshooter that capped everything off. It was truly a wrestling master class from two of the best to ever lace up the boots. And before talking to Bret and Steve, the Strappers shared their thoughts on hitting the one-year mark, Daniel Bryan's return, and The Ultimate Deletion. HERE WE GO! We've got new shirts! Check them out HERE. And thanks to Buffalo Wild Wings for sponsoring this week's episode. 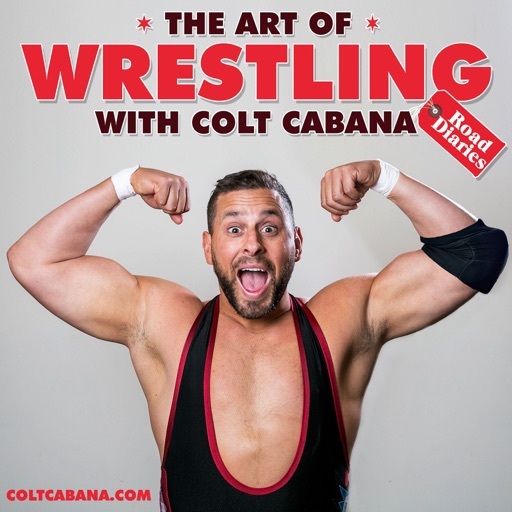 Rank #2: Talking TAG TEAM WRESTLING, Tales From the Indies with TOMMAY, and Your Voicemails!. What's up, Hosers?! This week's E&C Pod is a special one, as the guys take an in-depth, extended look at tag team wrestling. The origin, how things evolved, then devolved, then evolved again, and amazing stories from their time as tag team wrestlers. 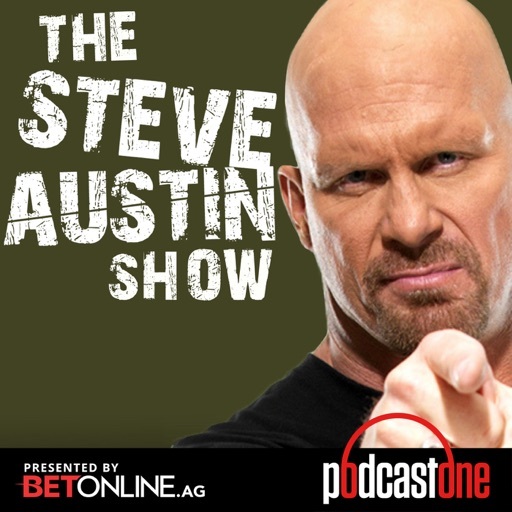 I won't ruin anything, but there's some great advice from Stone Cold Steve Austin in there (the real one), Edge talks about nearly teaming with a former IC champ to create a "New" version of an old, legendary tag team, and Christian reveals what it took for him to finally cut off his long hair. And before that, we have some of your voicemails, including one that's, um, interesting? Plus TOMMAY returns to the show to talk about his Australia trip and reclaim his segment from Hobo Hank. Here we go. Rank #1: SRW 126 - Shawn Michaels. Shawn Michaels is back to talk to Sam about his wrestlemania weekend event, his 2000s run, story telling psychology, original plans for him at Wrestlemania 33, and more. Plus Sam talks about the Wrestlemania build up in the State of Wrestling. Rank #2: SRW 148 - Seth Rollins. Seth Rollins talks to Sam about the curb stomp, Roman, Ambrose, and more live at SummerSam 3. 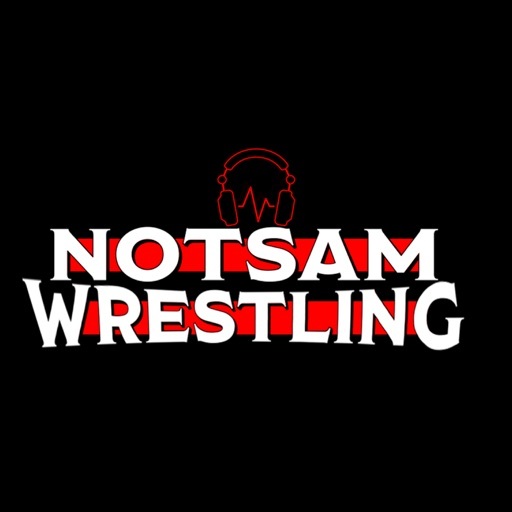 Sam addresses Jon Jones, everything from summerslam weekend, and more in the State of Wrestling. Rank #1: "The One" Billy Gunn. Billy Gunn and his son Colton are back for another round with Stone Cold! 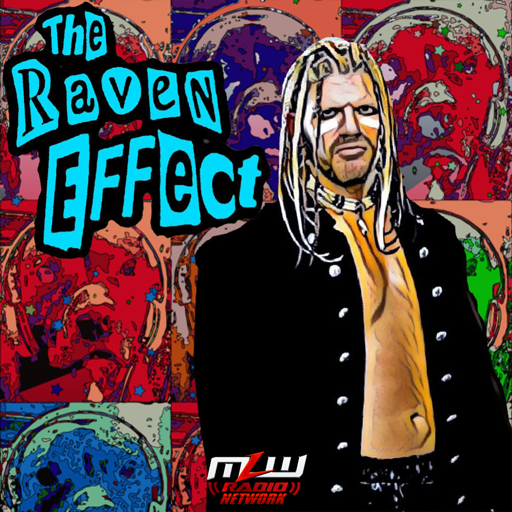 Join us for stories about Billy's entry into the business, Bart Gunn’s incredible fighting skills, the time Steve threw a garbage can at Billy’s face as well as getting (too much) color while in TNA. Also, Steve shares some of his thoughts from the WWE RAW 25th Anniversary! Rank #2: Taz Shoots Straight. Taz makes his TIJ debut! 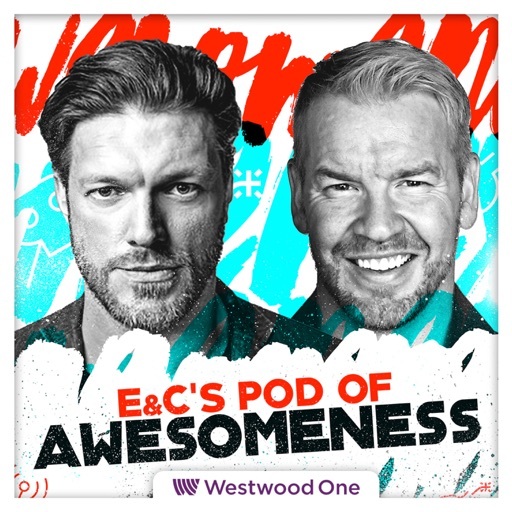 Y2J’s old friend from ECW and WWE shoots straight on leaving ECW for WWE, his relationship with Paul Heyman, the Taz gimmick, his locker room reputation, and that incident with Rob Van Dam. Taz also remembers his top secret meeting with Vince McMahon, how he became a color commentator (against his will) at WWE, and why he ultimately left the company. Plus, he shares his thoughts on the demise of ECW. Start your 7-day FREE trial of the DDPYoga Now App at DDPYoga.com/JERICHO. Get $60 in FREE groceries at ThriveMarket.com/JERICHO. Rank #2: One Year Anniversary Redux!! 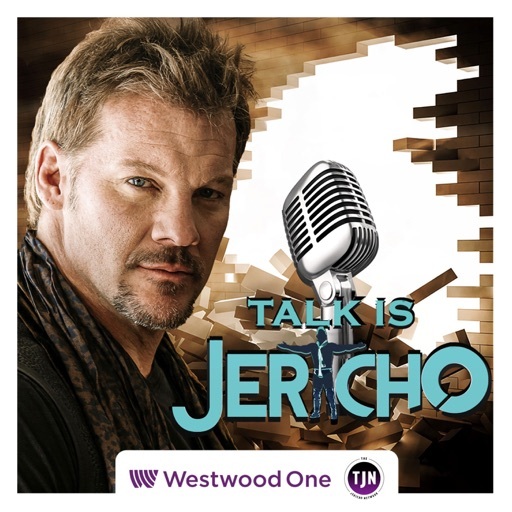 Jericho-Mania!!. Cyrus catches up with Chris Jericho in an old-school bull session!! 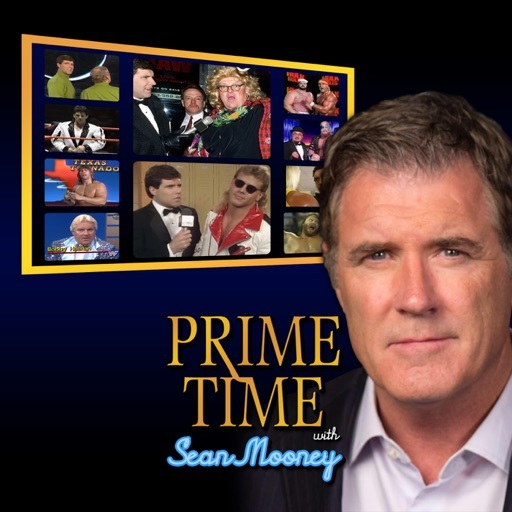 Head over to BetOnline.AG and use promo code PODCASTONE to receive a 50% sign up bonus Watch over A HUNDRED TV channels and THOUSANDS of movies on demand all completely free at Pluto.TV Go to shop.WWE.com/TOWN and use the code TOWN to save 20% your order! Rank #1: SASu - EP266 - Brock Lesnar. Brock Lesnar grew up on a farm, played football and wrestled in highschool, spent 8 weeks in training camp with the Minnesota Vikings, competed for Dana White in UFC, and is back for round two with Vince McMahon and WWE. 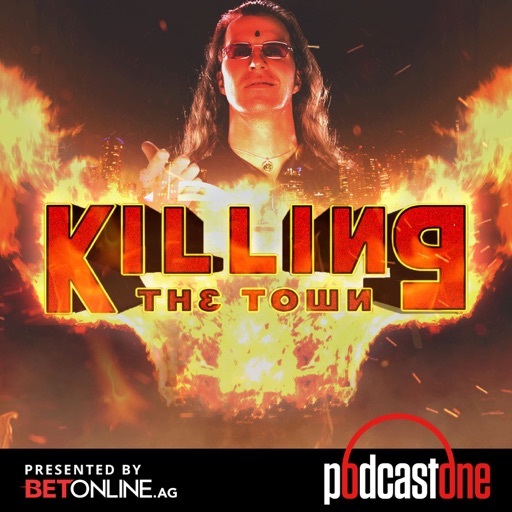 Hear about Wrestlemania 19 & 20, his first WWE match in Australia with Triple H & The Rock, what he learned traveling down the road with Curt Hennig, his connection with Paul Heyman, and why Brock just doesn't really like people. Rank #2: Luke Gallows and Karl Anderson. Luke Gallows and Karl Anderson - THE CLUB - are with Steve this week on Unleashed for a raucous, fun episode that you won't soon forget. Hear all about jet ski adventures, Karl Anderson's bank account, hunting squirrels, the origin of Festus, the beginnings of the Bullet Club, Luke getting the People's Eyebrow from The Rock and much more! Crack open a novel and join us! Rank #2: Episode 100 - Yay! w/Chris Jericho. It's a fabulous show...for reals; we bring back the Name Game; the world's worst rock anthem list; we pay off the WrestleRock cliffhanger; Star testimonials; Disco crashes the show; Busby brings back Tiddles Ringside to no applause; but kills with Raveny Yelp reviews; plus so much f****n amazing stuff and of course all the usual perversions! 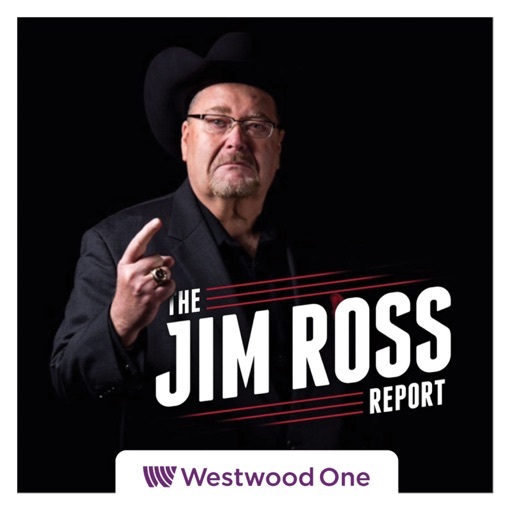 Rank #1: WKPWP - Thursday Flagship - Keller & Fairplay discuss Rousey-Becky Twitter war, Bundy, Ciampa, AEW, Owens, Joe (3-7-19). PWTorch editor Wade Keller presents the Thursday Flagship edition of the Wade Keller Pro Wrestling Podcast with guest cohost Jonny Fairplay of Survivor fame to discuss this week's hot topics in pro wrestling including the fascinating Ronda Rousey-Becky Lynch Twitter war, King Kong Bundy, the Tomasso Ciampa injury, AEW's latest YouTube numbers and TV prospects, Kevin Owens as a babyface, Samoa Joe's U.S. Title win, The Shield reunion and Dean Ambrose's future, Mojo Rawley, and more. 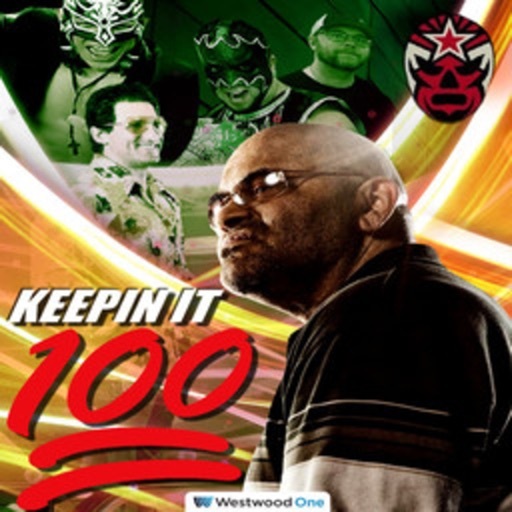 Rank #2: WKPWP - Thursday Flagship - Keller & Powell discuss Ambrose departing WWE, impact on WWE locker room, his potential in AEW, more (1-31-19). 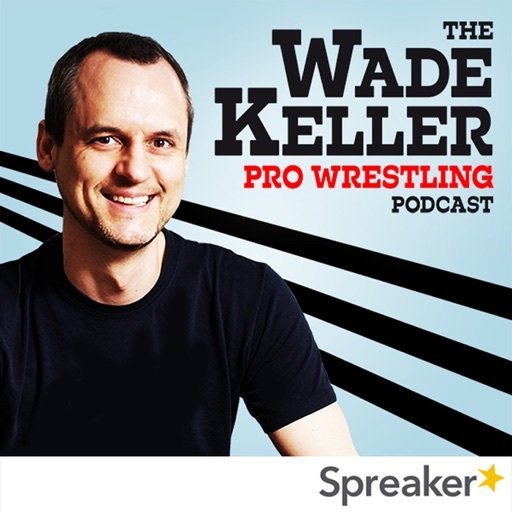 PWTorch editor Wade Keller presents the Thursday Flagship edition of the Wade Keller Pro Wrestling Podcast with guest cohost Jason Powell from ProWrestling.net and the Pro Wrestling Boom podcast. They discuss Dean Ambrose departing WWE and his potential in AEW and its impact on WWE locker room, the new look of ROH in 2019, and many other topics including Daniel Bryan, Ronda Rousey, A.J. Styles, and more. Rank #1: Episode 53 - Jim Cornette Returns. 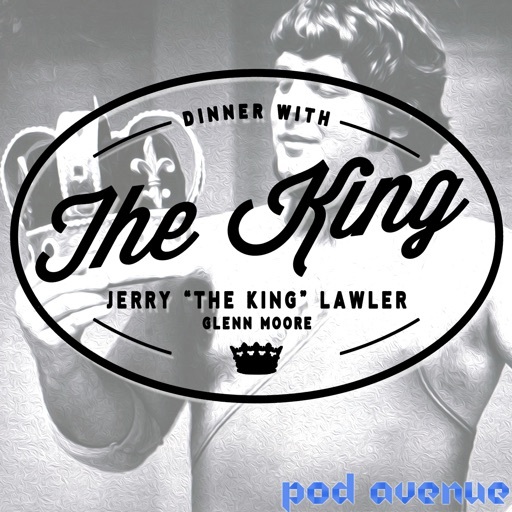 On this week's 'Dinner With The King,' hosts Jerry "The King" Lawler and Glenn Moore are joined by Jim Cornette, who returns to the podcast! Cornette blisters The King about his fireball spot with Joey Ryan during WrestleMania weekend in New Orleans. Plus, the conversation leads to the Invisible Man in the ring skits. Then, Glenn mentions Vince McMahon and Shane McMahon vs. HBK and God, which The King provided commentary during the WWE PPV in 2006. Also discussed: King's travels to Saudi Arabia, Jim's debut in a comic book, and much more! Follow the show on Twitter: http://www.twitter.com/dinnerwithking Email the show: dinnerwiththeking@podavenue.com Get more information about the show: http://www.podavenue.com/king Dinner With The King is a Pod Avenue, LLC production. Rank #2: Episode 31 - Jim Cornette and Austin Idol. Our most jam-packed show ever! Memphis wrestling staples Jim Cornette and Austin Idol join the show this week! Cornette joins 'Dinner With The King' co-hosts Jerry "The King" Lawler and Glenn Moore for the full show. Jokes, laughter, and stories are shared for the 90-minute episode. Also, what really happened at Bruce Prichard's live show? Are Cornette and Kenny Bolin friends again? Idol pops in to promote his match against the King this weekend. He also talks some smack with Cornette and King. More importantly, Cornette doesn't swear! Follow the show on Twitter: http://www.twitter.com/dinnerwithking Email the show: dinnerwiththeking@podavenue.com Get more information about the show: http://www.podavenue.com/king Dinner With The King is a Pod Avenue, LLC production. 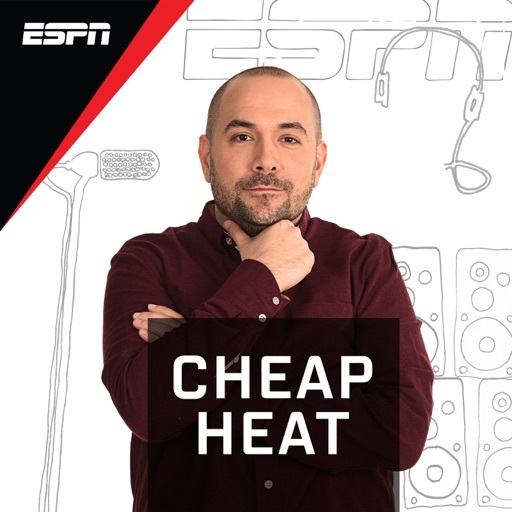 Rank #1: The New New Era of Cheap Heat. On the eve of his trip to Greece, Rosenberg announces a slight change to Cheap Heat, the boys argue Mayweather-McGregor and breakdown Great Balls of Fire! Rank #2: Ric Flair Drip. This episode has nothing to do with the amazing "Ric Flair Drip", but the boys break down Elimination Chamber, discuss Ronda Rousey, Roman's promo and have some words for one guest who attended Smackdown.